The Xaar 502 GS15 O printhead has been chosen as the technology for the new 70mm C6000+ variant of the Domino C-Series Plus piezo drop-on-demand outer case coders. The printhead, which was unveiled last November, offers OEMs with quick and reliable high quality solution for coding and marking by integrating PrecisionPlus and TF Technology innovations of Xaar. 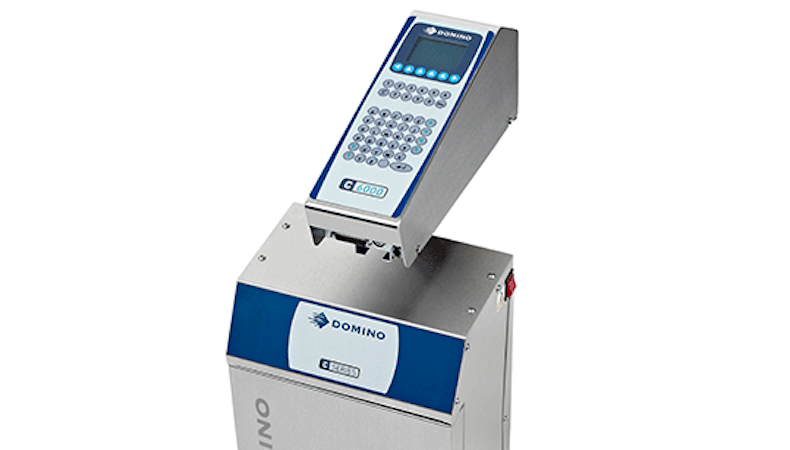 The C6000+, the largest variant in Domino’s C-Series Plus range, is a high-resolution, large-character printer that is used to mark porous and semi-porous substrates – such as cardboard boxes, trays, and bags – for identification, traceability and graphic personalisation. The machine is capable of printing TrueType fonts, graphics and GS1 compliant barcodes and provides a maximum print height of 70mm, making it suitable for direct coding onto outer case packaging. The Xaar 502 GS15 O printhead uses PrecisionPlus, cutting-edge piezoelectric actuator design, to provide accurate drop placement, long throw distance and enhanced stability and robustness. With its optimised nozzle guard to support automated maintenance routines, the 502 GS15 O is suitable for use in harsh, demanding coding and marking environments. The TF Technology can be run in either full through flow mode or pulsed mode. This optional mode recirculates ink behind the nozzles during non-printing periods, which is said to ensure maximum reliability and performance, high energy efficiency and a long lifespan. The printhead is also compatible with a range of oil-based inks including black mineral oil-free (MOF) SunJet IK822, that provides high quality and optical density on a suite of porous and semi-porous substrates. This ink is designed for use on secondary packaging and its key benefits are its handling safety and its capacity for easy breakdown during recycling.